The increasing strengthening of the independent Zulu nation by King Cetshwayo was perceived as a growing threat to the Colony of Natal by the British High Commissioner Sir Bartle Frere and in December 1878 the British government represented by Frere issued an ultimatum that was impossible for the Zulu Nation to accept as it would have required them to disband their army and swear allegiance to Queen Victoria. When these demands were not met, three British columns, under the overall command of Lieutenant-General Lord Chelmsford, who despite considerable experience in the field nonetheless made the fatal mistake of underestimating the fighting ability of the Zulus, crossed the Thukela and Buffalo rivers on the 12th January 1879 and invaded Zululand. 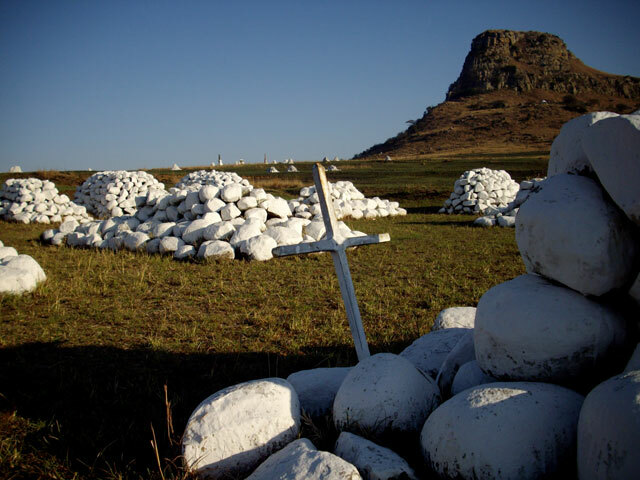 The Zulus retaliated and on Wednesday 22nd January 1879 the Zulu Army, comprising approximately 20 000 warriors, attacked and overran the British camp at Isandlwana, killing 1357 Imperial troops, colonial volunteers and native levies. Survivors of the route fled along a torturous route now known as the Fugitive’s Trail crossing the swollen Buffalo River at what became known as Fugitives’ Drift. Among these were Lieutenant Teignmouth Melvill who had attempted to save the Queen’s Colour and Lieutenant Nevill Coghill who went to his assistance. Both were killed on the Natal bank of the river as they scrambled up the hillside. (They were posthumously awarded the Victoria Cross). 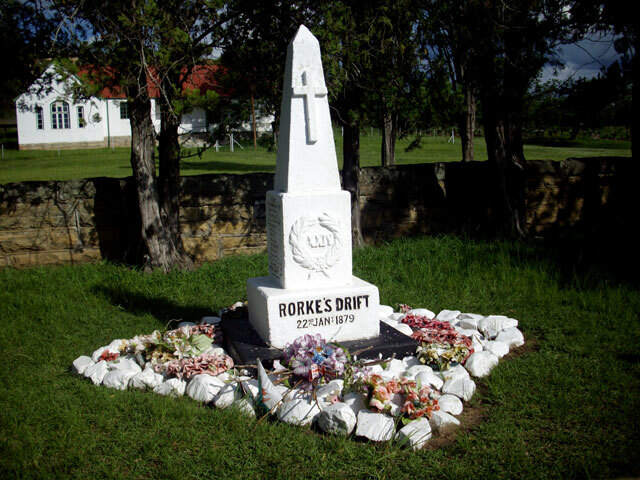 After the Battle an additional force of approximately 4000 warriors led by King Cetshwayo’s half-brother Prince Dabulamanzi went on to attack the British garrison at the Swedish Mission station at Rorke’s Drift, that was being used as a commissariat and hospital. Here the “heroic hundred” repelled the attackers after an 11 hour battle. The British lost 17 men and won 11 Victoria Crosses. For more information about each site see The Anglo Zulu War 1879.